Flood forecasting is an incredibly exciting place to be right now with so many innovations designed to give communities better warning if it floods. The work we do can save lives by informing people in advance. 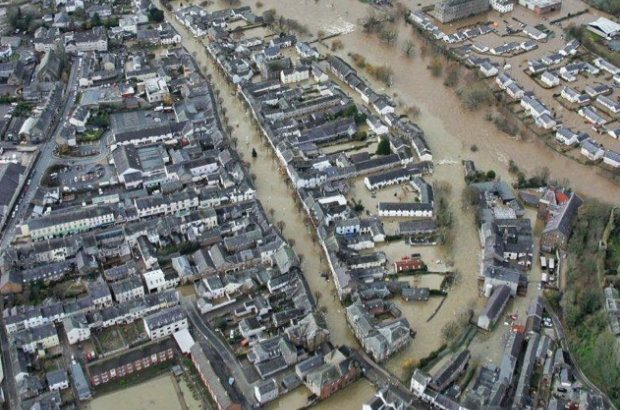 I’ve worked in flood management and forecasting for over twenty years, and have been involved in various incidents during this time, including the Easter floods in 1998 and last winter’s devastating floods affecting the north of England. The profile and value of flood forecasting has never been higher. We respond earlier, over a longer time and far more visibly that ever before. Flood forecasting is truly at the heart of our response. We’re currently making the biggest investment in our flood forecast, warning and telemetry systems in the last ten years and driving a step change in how we create and share our flood forecasts. As part of my work as a flood forecasting manager I co-authored our Flood Incident Management Plan. This important piece of work will improve the way flood experts, managers, partners and communities work together to react to flood. It makes sure we work with partners to be able to prepare, respond and recover as effectively as possible if it floods. I’m immensely proud of the work done by our experts in modelling and forecasting to build a more customer focused forecasting service – working with partners to reduce flood risk together. We’ve worked hard to contribute to something that really matters to the thousands that have been affected by flooding, and the many millions more than are at risk. We don’t do this alone. The Environment Agency works in partnership with the Met Office to bring together our different expertise in the Flood Forecasting Centre (FFC). Together our vision for forecasting is to create resilient, national service delivered locally. We want to communicate forecast impacts in a simple visual way and services, so that more people can plan and respond effectively to save lives and livelihoods. Early and accurate forecasts of flood risk enables national and local responders to support the public and local communities at risk of flooding. We’re running pilots to with emergency responders in their control centres. We’re also running a pilot publishing flood forecasts on the internet in real time that the local community at risk can access. We’ve had positive feedback from local groups on how much they value this. I’m convinced we’re unlocking some potential here to help people own and understand their flood risk and take action to prepare if it floods. Flood incident work is a demanding job and the pressure for all involved during a major flood can be immense. For example, we often need to provide clear intelligence on the developing flood situation under strict deadlines for briefings that end up informing Cobra. The fast pace needed gets the adrenaline going. However, seeing our work trigger real action to protect people during floods makes all the hard work worthwhile. Our new forecasting system will be launched towards the end of 2017. Ex-regional systems will be brought together into a single national system to make it quicker and easier to monitor forecasts. I’m looking forward to bringing the skills and expertise from our forecasting teams together with those brought by partners. Using the new system the challenge will be to reach out further to those who can make use of the forecasts we provide during a flood incident. The new forecasting system will transform the way floods are forecast across England.